Courtesy of Ebby Halliday, REALTORS Plano, Stacey Zimmerman. Sought after Multi Generational Home. 2 Kitchens, 2 laundry rooms, 2 living rooms.Spacious 5 bedroom home including separate living qtrs. This home offers a desired open layout w-engineered wood floors, Master & sep living qtrs down.Soaring ceilings & a Chef’s delight kitchen that boasts double ovens, gas cook top, a spacious island & ample cabinet space. The private study has french doors and makes working from home a breeze. The second floor has an over sized game & media room.Media room has stadium seating.3 addt’l bedrooms up. Perfect for kids & pets to play,the oversized backyard offers an enormous grassy yard & large covered patio. Small side yard & patio for apartment.Great location near Hwy 380 and DNT. Please, send me more information on this property: MLS# 14035458 – $499,900 – 9827 Amberwoods Lane, Frisco, TX 75035. 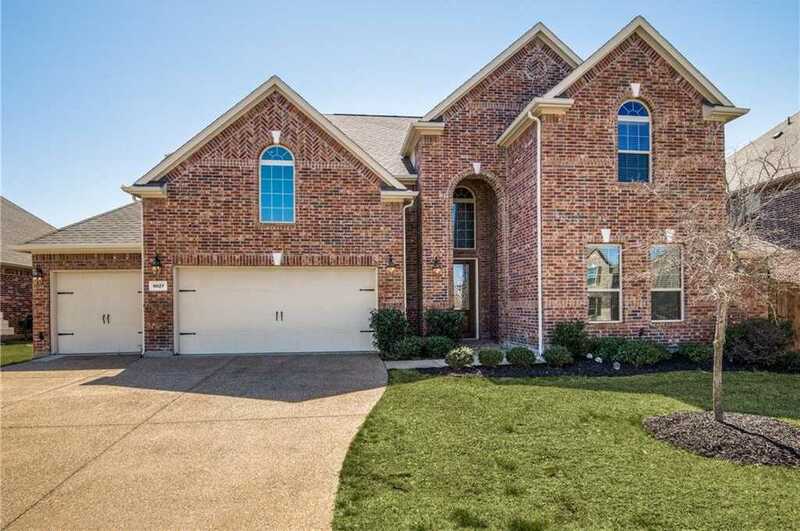 I would like to schedule a private showing for this property: MLS# 14035458 – $499,900 – 9827 Amberwoods Lane, Frisco, TX 75035.